All Loa homes currently listed for sale in Loa as of 04/26/2019 are shown below. You can change the search criteria at any time by pressing the 'Change Search' button below. If you have any questions or you would like more information about any Loa homes for sale or other Loa real estate, please contact us and one of our knowledgeable Loa REALTORS® would be pleased to assist you. 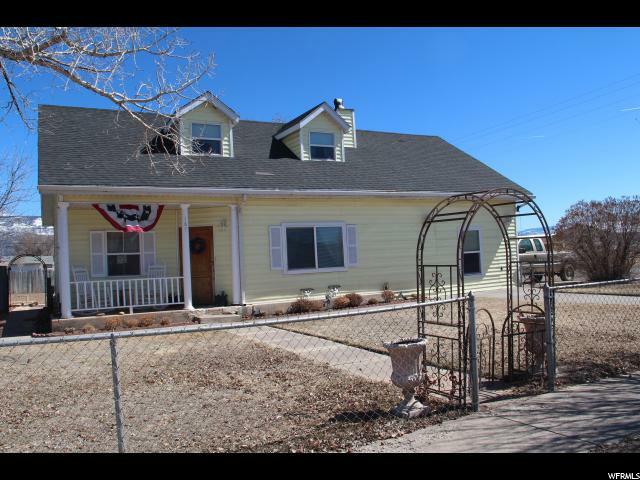 "This charming home on historic Main street in Loa sits on half an acre of well kept land. Horse property. Investors could turn this into a unique Airbnb. Close to fishing, hunting and hiking destinations such as Fish Lake and Capital Reef. Solid, hardwood maple flooring in the kitchen, tile and other hardwoods throughout. The home stays cool in the summer and the Natural stone fireplace keeps it toasty warm in the winter. Many unique features in this singular home. Front door angles toward a front porch. Beautiful stained glass inset on an arched door upstairs. This home is a must see! Sprinkling water system is in place but not functional."